It’s a seldom played drama that centres around one of the less fabulous kings in English history. John Lackland is often depicted as not very brave, accused of giving in too easily to French demands. With him the reign of the Plantagenets ended. But he was a younger son, and instead of landing in some convent or other, her managed to not only rule England for more than a decade but also signed the Magna Charta (or was forced to signing it – historians differ there), which is the base of modern law. In the play king john is confronted with his nephew, a boy whose mother – with a little help from the French – wants to push him onto the throne. And it is really the women who are the driving force of the events that follow – at least John makes it look that way. Because his mother opposes the very idea. And while king John is excommunicated and claims to have won the war, in the end it is a marriage that seals a contract between France and England. Only that king John can’t enjoy the peace that hopefully follows: a monk has poisoned him, he dies. Now the cast. Tom McManus as king John. He adopts an almost singing, lisping voice that makes his orders to kill his young nephew all the more scary. He says outrageous things with a smile a and a wink. He is, as always, very good. A pleasant surprise is Graham Abbey as Philipp, whose acerbic one liners are to the point and provide the lighter counterpoint to the dramatic story. He has great comedic timing and he gets better every year. Yes, he plays to his female audience, but hey, he has something to play with! If you got it, flaunt it. Oh, I booked a second performance for me. I figured I deserve it. 😉 and this time it’s going to be stage door!! 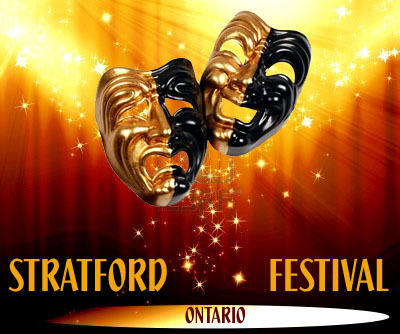 This entry was posted in Stratford Festival Ontario and tagged austria, Graham Abbey, king john, Ontario, Stratford Shakespeare Festival, Tom McCamus. Bookmark the permalink.